Vice Director, Dr. Marco Guerrini of the Ronzoni Institute, Italy describes how the composition and quality control of heparin, a commonly used anticoagulant in surgeries, can be quantified by the use of 2D NMR techniques. 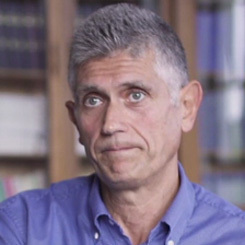 Dr. Marcon Guerrini is vice director of the G. Ronzoni Institute for Chemical and Biochemical Research Milan, Italy. His main field of expertise is the structural activity correlation of carbohydrates using NMR spectroscopy. He contributed to the development of advanced analytical approaches for the characterization of glycosaminoglycans, particularly heparin and low molecular weight heparin.